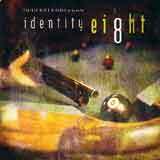 Identity Eight is the latest in the "Identity" compilation CD's from Century Media. These CD's are a sampling of some of the latest material Century Media has to offer. Prior to this release, I honestly had no idea that Century Media had a series of compilation discs such as this. Honestly, I normally ignore compilation discs. That's because I'd rather not spend approximately US$15 for a collection of songs for which I already own most of them. Well, this "Identity" series of compilation discs works out to be a very inexpensive way for you to sample numerous bands from the Century Media family. Currently on the Century Media website, the Identity 2 - Identity 6 discs can be had for only US$2 each. Identity 7 and Identity 8 are priced at $3 each. Like I said, I'm normally not a fan of compilation CD's, but I do think this Identity series from Century Media is worthwhile, and thus deserving of mention on this site for our readers. This is a great (cheap) way to sample some bands that you may not have ever given the time to in the past. For those of you who don't like to blindly buy albums, this is a great way to pinpoint which releases are deserving of your hard earned money. Hey, you also get a great soundtrack to play in your car while out on a date!